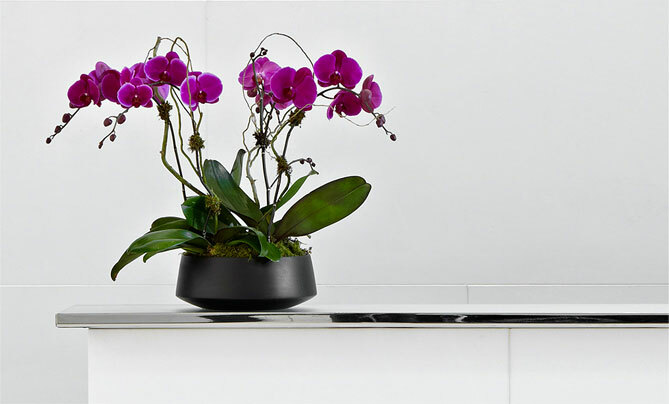 A Better Florist is Singapore's leading luxury floral and plant service. We believe flowers are living art, and we take great care in delivering gorgeous florals to businesses and individuals across the country. Our services range from providing single-stem bud vases or succulents to delivering individual floral arrangements to decorating entire living or working spaces. We also offer high-end interior and exterior plantscaping. We work with hotels, restaurants, offices, residential and commercial buildings, salons, spas, retailers, event spaces, and private clients. Our dedicated teams on the ground work hand in hand with our clients to provide services that consistently go above and beyond. Each team consists of A Better Florist account executives, who consult with our clients on their subscription and one-time event needs, and exceptionally talented floral designers, who focus on design and installation. A Better Florist arrangements move our clients and their customers because they start with great design. Our designers don't just make arrangements — they create living art. Each designer works closely with our dedicated account executives to customize every piece based on space, style, and budget. Every A Better Florist client is assigned to a personal account executive. Our account executives serve as our clients' single point of contact for all of their design, installation, maintenance, and even billing questions. Your office, store and hotel can feel like a luxury home with custom arrangements throughout the space. Looking for a focal installation in a window or central display? Want to host a special party with flowers for your VIPs? If you can dream it, your A Better Florist team can bring it to life.